House of Wax. The Tingler. House on Haunted Hill. The Fly. House of Usher. Well, houses in general, really. These are things you think of when you hear the name Vincent Price. But did you know the master of horror himself starred in an instructional marketing video for a camera that took photos in three dimensions? 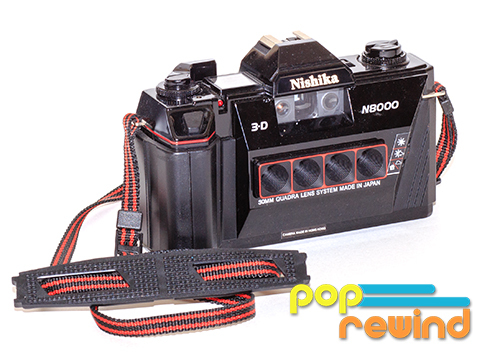 It was in the spring of 1989 when the Nishika photo company introduced the N8000 model camera. The product itself resembled a typical point-and-shoot camera of the time, though cross bred with some type of mutagen goo to seem ultra bulky. With a total of four lenses, the camera essentially snaps pictures from four slightly different angles at the same time. If you were to drop off a roll of film at your typical one-hour development place, they would go a bit bonkers and think your camera was broken by taking the same image four times. They’d also be pretty confused on how to crop the image! Gimmick aside, the camera did not boast particularly exciting features. It was mostly an automatic camera, save for an option of three aperture settings: f/8, f/11, f/19. Serious hobby photographers out there just cringed in horror reading that information. If you wanted to use this camera in a haunted house, you really needed to put some high ISO film in the chamber. If ever anyone should have been awarded for a performance in an instructional video, this is it. Price’s narration is both comforting and haunting at the same time as he jumps from scenes in spooky wax museums to children’s birthday parties. Technological innovation didn’t stop with the Nishika N8000. 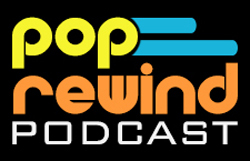 Today, we have magical ways of streaming video to enjoy the magic of yesterday. Below, for your excitement and enjoyment, lies footage of Vincent Price starring in what is arguably the most enticing training video of all time. Price was notorious for not turning down a role. Thank goodness he didn’t let this one slip by! 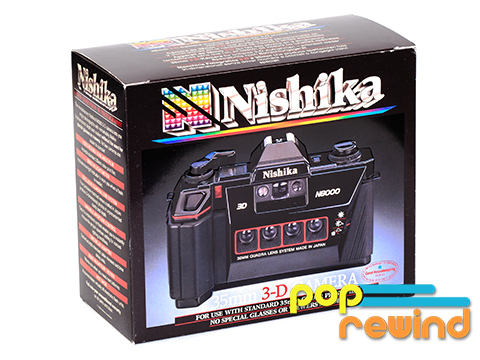 So, what’s become of the Nishika 8000 in today’s modern technology driven world? Is it still a relevant piece of marvelous technology or has it been rendered useless due to the progress of mankind? The company itself, which once processed the photos as lenticular prints, has seemingly vanished. If you look around online, you may actually be able to find a company that will develop the film as originally intended. Though, the options for going this route are rapidly fading. Ah, but worry not! 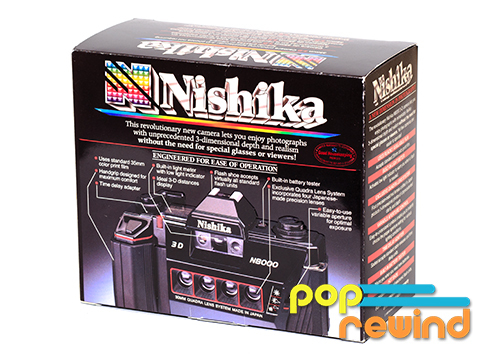 The Nishika worked with over-the-counter 35mm film and can be simply developed as such. Through the magic of animated GIFs, the effect of the camera is more accessible and modernized than ever! Check out GIFs on Tumblr. If you are looking to dive into the photography world of yesteryear, it’s not too late! I personally own two of these cameras, one purchased second hand from a private collector. A few years later, I witnessed piles of these cameras being unloaded new-in-box for a few bucks at Big Lots outlets stores. There’s hope for you, yet. Venture onward future retro 3D photographers and, as always, let Vincent Price be your guide!